The other night, I needed something quick, but different to put on top of spaghetti squash. I thought I'd try a little chicken thigh meat for a change! I kept the sauce very simple and it turned out great. Heat coconut oil in a large sauté pan. Add diced chicken; brown and cook through. In a medium/large sauce pan, heat more coconut oil and sauté peppers, onion and garlic until slightly tender. Add the herbs and chicken to the sauce pan, allowing the flavors to mix. Add in the diced tomatoes (and juice). Simmer the sauce for at least 15 minutes. Add salt and pepper to taste. 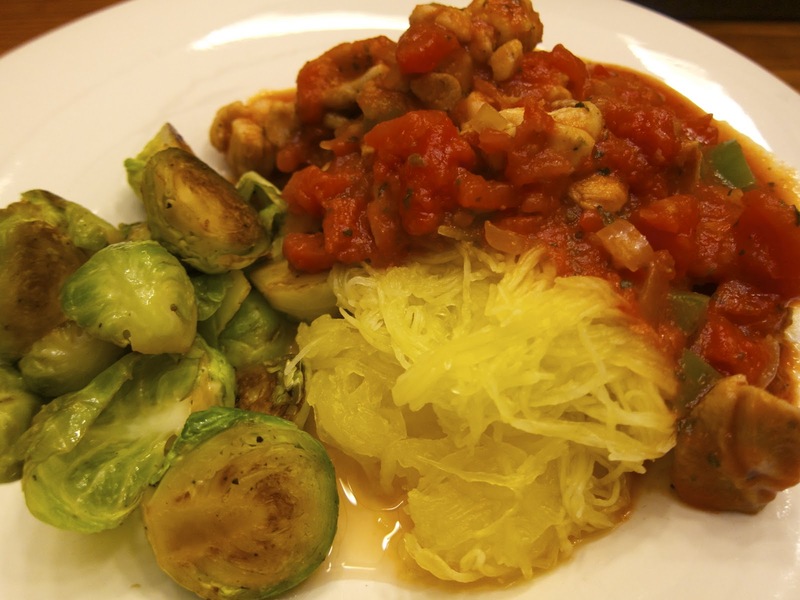 Top on cooked spaghetti squash.